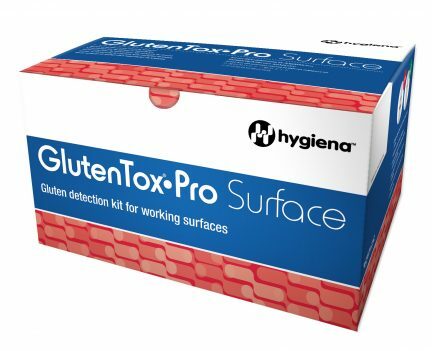 GlutenTox Pro Surface (KT5660S) is for facilities that produce both “traditional” and gluten-free items, ensuring that the manufacturing environment is free from traces of gluten is a top concern. Accordingly, GlutenTox Pro Surface is designed to detect gluten on surfaces and comes with everything you need to conduct 50 environmental tests. 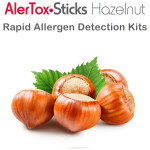 Accurate: G12 antibody detects gluten from all toxic grains; no false positives. Quick response: A reliable answer in less than 11 minutes. Adjustable sensitivity: Threshold can be adjusted by use of additional swab. Easy: No special equipment needed, easy-to-read results including control line. Cost efficient: competitive pricing and volume discounts available. GlutenTox Pro Surface is not appropriate for testing foods or beverages. 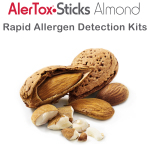 For that, we recommend GlutenTox Pro. 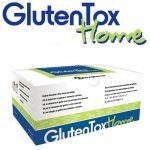 The next-generation G12 antibody recognizes the 33-mer peptide, which is the toxic fraction of gluten in wheat, barley and rye (Structural basis for gluten intolerance in celiac sprue, Science, 2002). 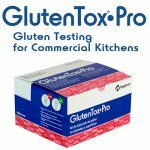 Contact us for pricing and ordering information on the GlutenTox Pro line of gluten test strips. 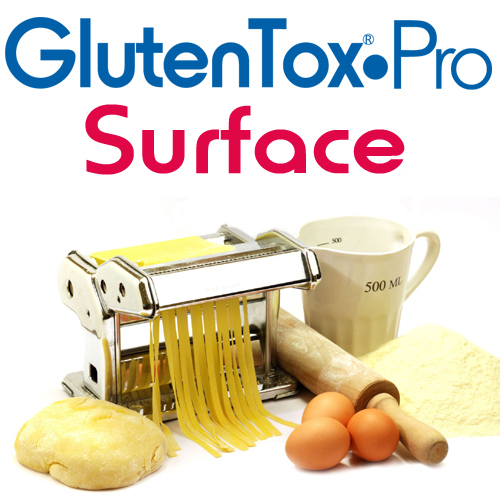 All sales of GlutenTox Pro Surface are final. For more information, please see our Terms & Conditions.